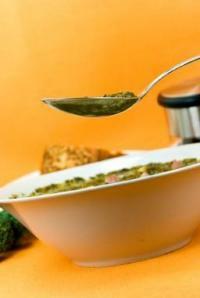 Although it might be an unusual food to some Americans, cooking kale is easy and provides a tasty treat. The recent fascination with all things food-oriented has had some very positive effects to the American diet. People are more open to trying new foods and cuisines leading to a wider variety of cooking styles and more interest in different types of food. People are more aware of the power of antioxidants and the best ways to get them. Many people know the value of a balanced plate of food and proper portion size and, most important, are open to trying the newest super food in order to diversify their menu and improve their overall health. This is where kale comes into play. With the new varieties of kale that are available on the market, it is easier to start cooking kale and get your family eating a healthy, deep green leafy vegetable. Kale has never been what anyone would call a superstar of the kitchen. In fact, in most professional kitchens, kale is generally used as a garnish. 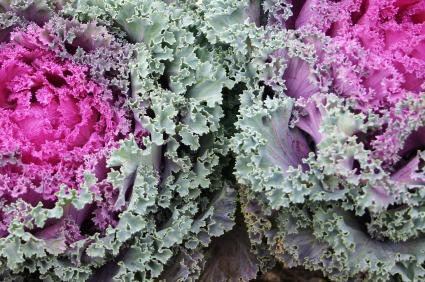 But more and more often, people are cooking kale and enjoying the taste and diversity. The old kale recipes are being rummaged out from the back of the recipe box and dusted off. One cup of kale can even have as much as 1327 percent of the RDA of vitamin K. It is also an excellent source of protein, vitamin E, thiamin, riboflavin, folate, iron, magnesium, vitamin B6, potassium, copper, and manganese. Studies show that diets high in cruciferous vegetables, such as kale, are associated with lower incidence of a variety of cancers, including lung, colon, breast, and ovarian cancer. Any collard greens recipe that you have on-hand can be used as a kale recipe. The best way to prepare kale is to slice out the stem if it is thicker than a pencil. If you want to cook the stems, you can just start cooking them before you start cooking the leaves, about 5 minutes longer. If the stems are rather thin, you can just leave them where they are. Before cooking kale, you need to slice it. The most effective way to cut them is chiffonade, which is the cutting method most often used to prepare basil. This is done by rolling the leaf like a cigar, then slicing it across the roll to create thin strips. If you are fixin' to boil up a mess of greens, then this is how you go about it. In a large pot, bring at least two quarts of water to a boil. Cut the kale into narrow strips (chiffonade). If the stems are thicker than a pencil, trim them off and cut them into 2-inch lengths. Place the thick stems into the water and let boil for five minutes. Add the cut kale leaves. Cook until the stems are very tender, usually 5 to 15 minutes. Can be dressed with extra virgin olive oil, butter, or red wine vinegar. This simple kale recipe is also easy to make and delicious. In a large sauté pan or a large pot, heat the oil over a medium heat. Add the garlic. Cook until fragrant. Add the kale and the water. Turn the heat down to low and simmer the greens. Stir the kale from time to time. Add more water if you have to. Cook until the kale is done, the stems will be very tender. Add the salt, pepper, and red wine vinegar. 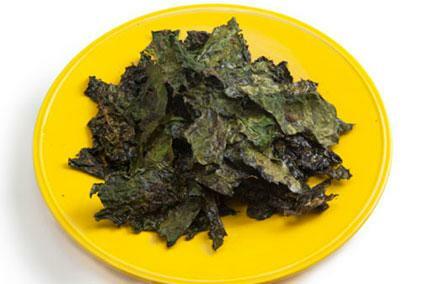 Simple to prepare and incredibly tasty, kale chips make a very healthy snack. Tear the kale leaves from the thick stems and lay them on the baking sheet in a single layer. Drizzle the leaves lightly with the oil, and sprinkle salt on them sparingly if you choose to add it. Bake for approximately 10 to 12 minutes until the kale is crisp but not burned. The baking time will vary slightly according to how heavily you drizzle the oil. A lighter amount of oil yields a lighter, crispier chip. Repeat the process until you've used up all the kale. The leaves shrink a bit during baking, but you will get approximately four servings per bunch, depending on the size of the individual serving. Sprinkle the kale with garlic salt, garlic powder, lemon salt, or seasoning salt instead of sea salt. Try substituting a light dusting of Parmesan cheese instead of salt. Instead of olive oil, drizzle the kale with flavor-infused olive oil, such as chipotle, lemon, or chocolate-infused olive oil. Only someone who grew up in the South would know how much a "mess of greens" would really be, but a pound is a good place to start.